Large hot tubs a great place to relax after a long, hard day In a Ramona™ custom spa, a variety of power-packed jets and relaxing seating styles work together to provide effective Hydrotherapy spa variations. Bring home the Ramona™ spa and get ready for some relaxation. The Ramona™ is a spacious spa, comfortably fitting six adults. 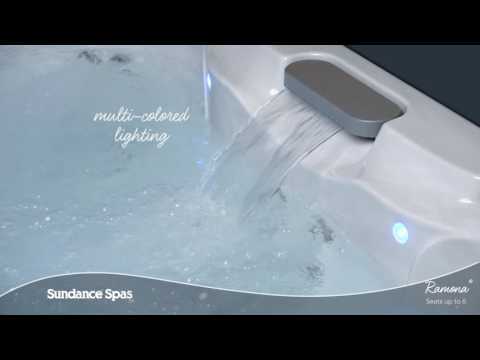 Favorite features, enhance your spa experience include designer stainless steel jets, seductive LED lighting and the optional BLUEWAVE® Spa Stereo System. These finishing touches put just the right amount of polish on your backyard spa experience.